Drugs Facts: What are they? 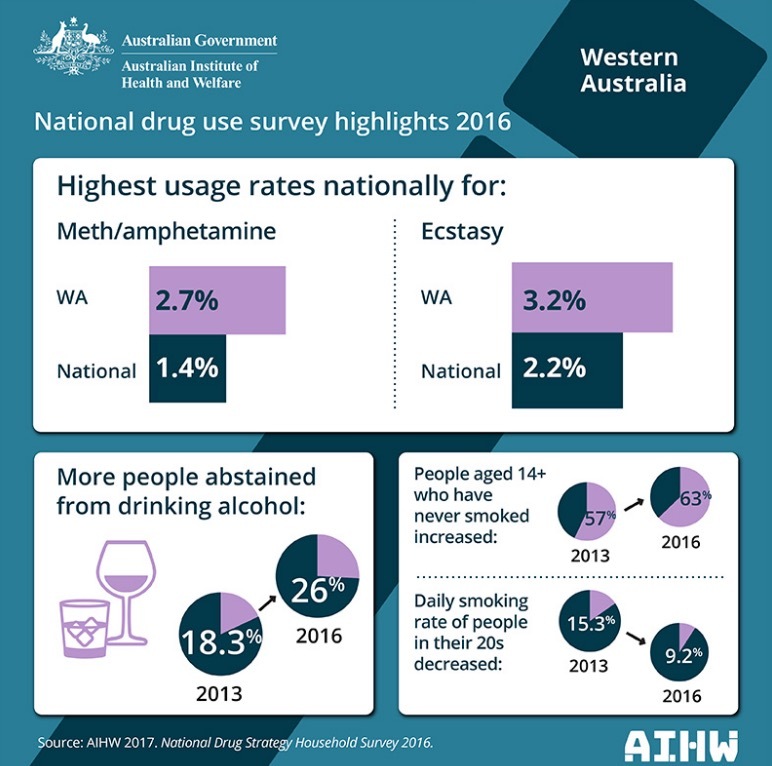 As part of the National Drug Staregy, a survey is conducted every three years by the Australian Institute of Health and Welfare, to measure the prevalence of alcohol, tobacco and drug use, and attitudes toward these substances, across Australia. Data collected from the National Drug Strategy Household Survey (NDSHS) contributes to the development of national and state policies on drug and alcohol-related issues. Summary of the National Drug Strategy Household Survey 2016. Look for this button (above) on the READING page on the 'Find Information' tab, then search for and read these titles.